Brand New Products To Buy And Earn FREE? Yes you heard me! 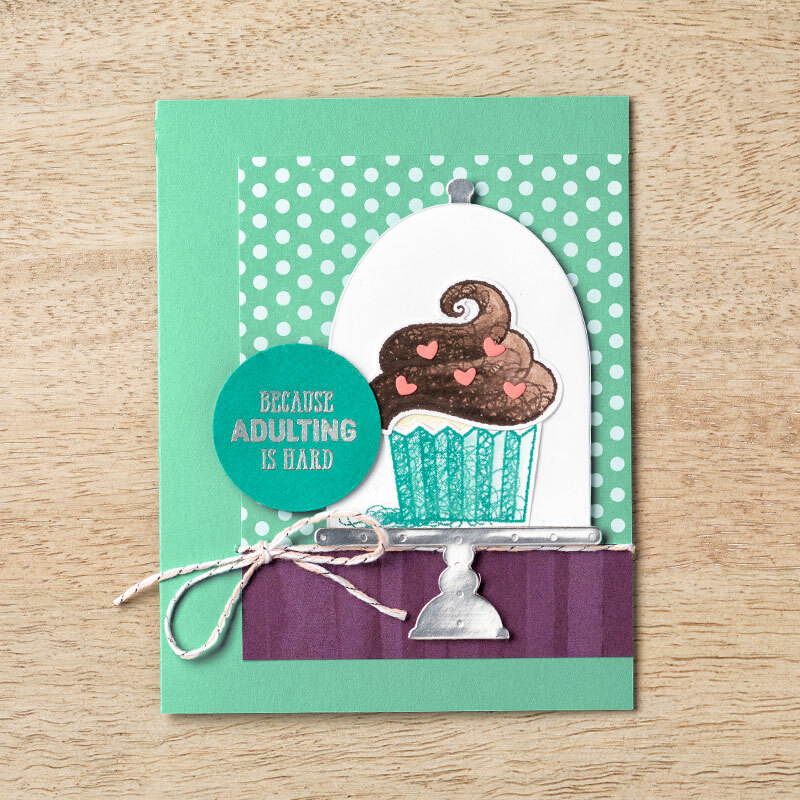 It’s a great day if you LOVE Stampin’ Up! as much as I do! I have lots of news for you today. 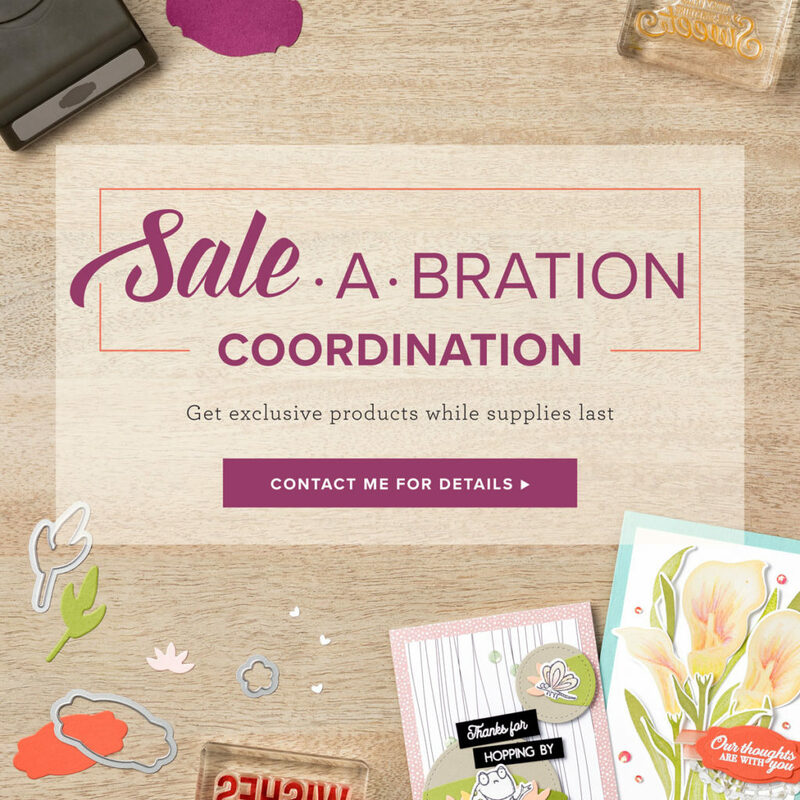 First up is what I’ve been giving you sneak peeks on all week, new Sale-a-bration Coordination items you can purchase that coordinate with your previous FREE Sale-a-bration items. But there’s more! Now you can earn MORE FREE items too! These new products are available for just 1 month and are limited edition. You’ve seen the new More Than Words set a lot this week and there are more samples and ideas coming to you next week too! 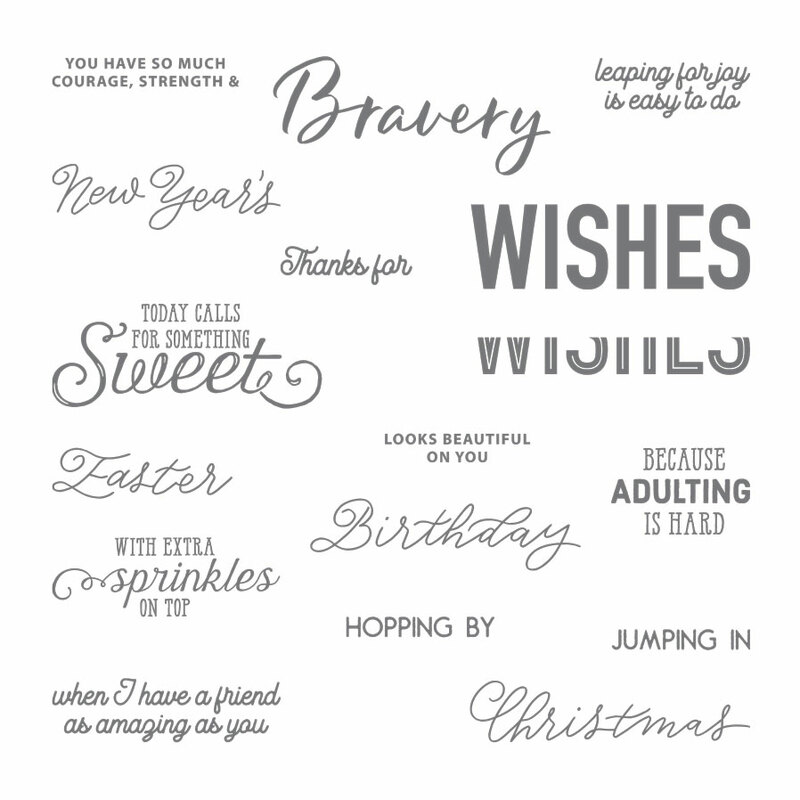 You can choose new sentiments and a punch that coordinate beautifully, or you can also choose framelits that coordinate with previous Sale-a-bration items. So you can make my So Hoppy Together pop up card more easily with the framelits to cut out the frogs! Or how about the cupcakes – you can cut out the frosting and add more details too, like a lovely cake stand and cover! I adore the coordination. What a fabulous idea to come up with products that you can purchase that match what you previously earned for FREE. If you didn’t get the previous Sale-a-bration release 1 and 2 items because they didn’t float your boat, how about some more items you might love to get for free? Ribbons, embellishment kits, you name it there is certainly something in here for you! Plus you can get the Painted Seasons paper now on their own as a £45 level reward! How cool is that? Yep Sale-a-bration just got better than ever! 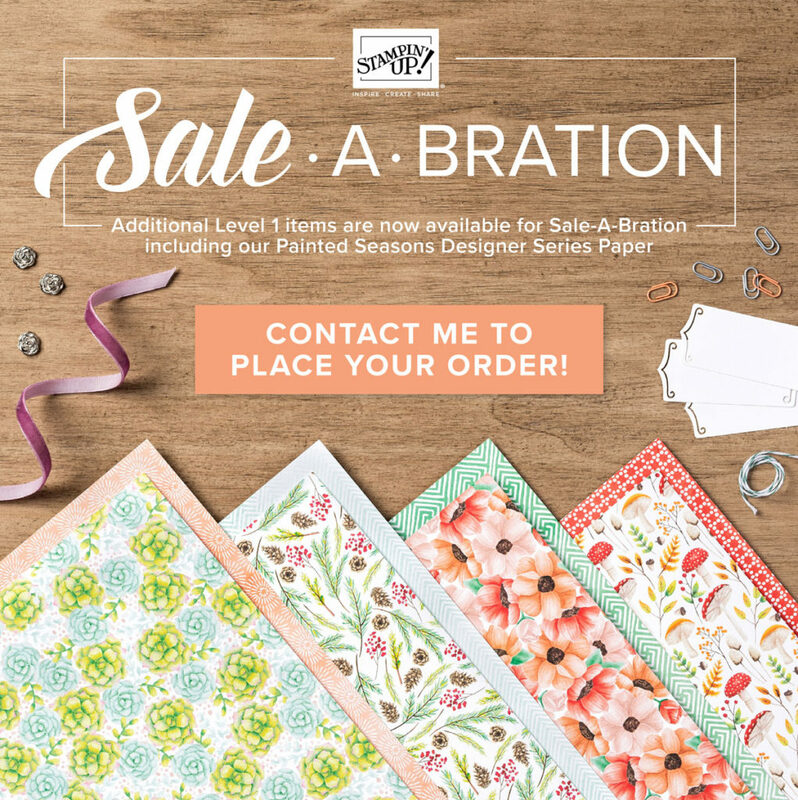 See all the NEW products and the Sale-a-bration Release 2 & 3 products below! The choice is yours and it’s going to be hard! But give it a go and don’t forget that Host Code for more gifts from me!